Christianity, scholarship, and providing for the general welfare are a package deal. Faith in Christ always leads to learning and practical living. The history of missions in the far-east is a living example of this living faith. 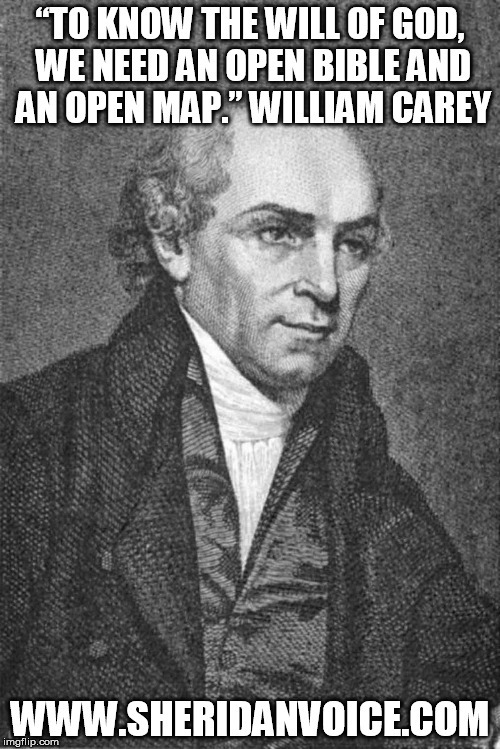 William Carey, the “Father of Modern Missions,” went to India with the goal of translating the Bible into every Asian language. He wrote grammar books for a number of Asian languages and his friends translated Western literature into Asian languages and Asian works into English. Henry Martin brought the gospel to the Hindus and Muslims, established educational institutions, and translated the New Testament into three languages. As a result of Christian missionary work, many languages were committed to writing and Biblical literature was disseminated among the people. Schools were opened, health-care provided, and the status of women was improved. The list goes on. There’s not a single aspect of life the Savior won’t touch. If He is the Savior of All Mankind, that means He’s the Savior of All Mankind’s endeavors and institutions as well. You don’t need to travel to distant lands, however, to imitate these missionary works. Just give all that you are and have to Christ and let Him use them as He sees fit. Open yours eyes – there are needs all around us which we can fill in the name of our awesome, wonderful, and successful Savior of All Mankind! You have a Bible, you have your knees, use them! Christ is worth it!